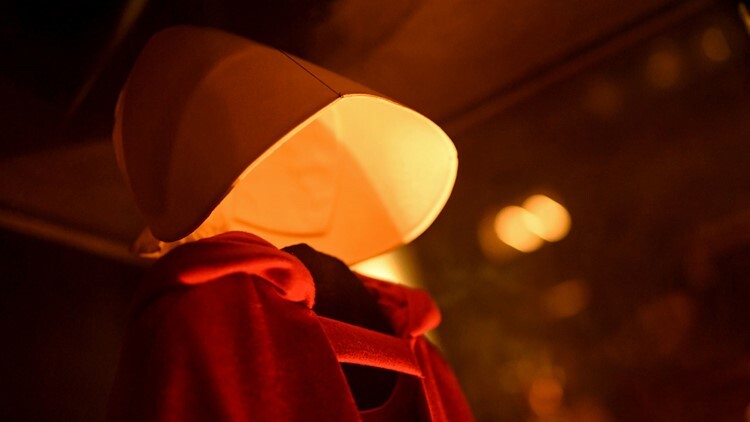 The author of the dystopian novel made into a popular Hulu series announced a new "The Handmaid's Tale" book on Twitter. It's time to go back to Gilead -- a sequel to The Handmaid's Tale is coming. The book's author, Margaret Atwood, announced the sequel Wednesday on Twitter. She said The Testaments is set 15 years after main character Offred's final scene. The book will be narrated by three female characters. Atwood said in a tweet that "everything you've ever asked me about Gilead and its inner workings is the inspiration for this book. Well, almost everything!" "The other inspiration is the world we've been living in," she said. The Handmaid's Tale, first published in 1985, has sold more than 8 million copies in English. It follows Offred, a handmaid in a dystopian New England run by a fanatically religious totalitarian regime. In the Republic of Gilead, women don't have rights. Women are categorized by usefulness and fertility -- wives, handmaids, Marthas, Aunts and unwomen. In the Hulu series, which premiered a second season in April, Offred is played by Elisabeth Moss. The series was the first from a streaming service to win an Emmy for Outstanding Series. It also won a Golden Globe for Best Television Series with Moss winning a Golden Globe for Best Actress. While the first season ended where the first book ended and the second season ventures into new stories and characters, Atwood's new book could be set far enough in the future to not mess up any storylines created in the show. The Testaments will be published in Sept. 10, 2019.